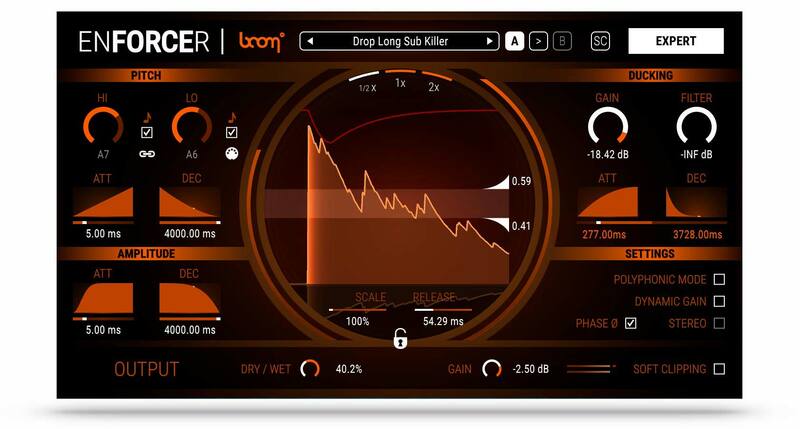 ENFORCER, a bass plug-in that adds irresistible punch, powerful body and a rigorous low-end bass impulse to your samples. You can heavily beef up sounds or add only a hint of weight. 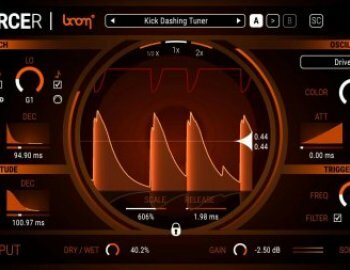 You can use it as a kick-drum synth, exchange kick drum tails and tune them easily using semitones or you can completely exchange given source sounds. ENFORCER – A scalpel for punch with unmatched precision. Ever wasted your time adding sub sweeteners to every single shot of a fully automatic weapon? Ever got stuck layering a kick drum with controllable and tunable low-end or enhance live drums with well defined punch? Having a hard time adding steady weight to every single footstep? 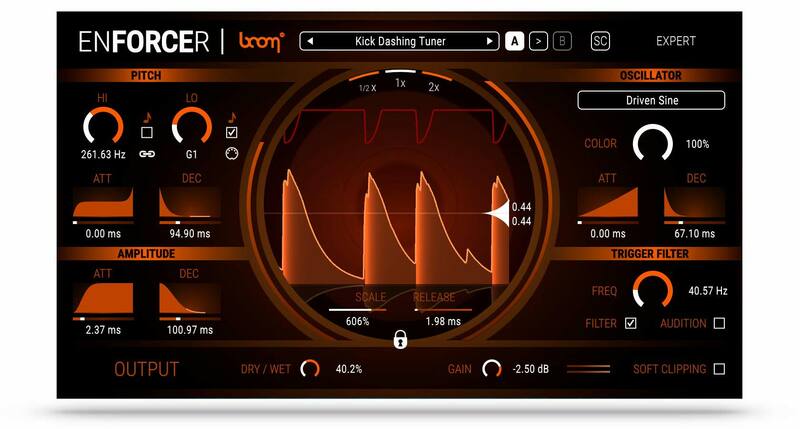 Look no further, Enforcer is the Swiss Army Knife for punch, low-end, sub power, kick... you name it. Add power and punch to your mix. Triggered by source audio material – no need to manually synch it to your tracks. Trigger can be adjusted with surgical precision – enforce exactly and only what you want. Tune kick drums and snares using semitones. Duck source frequencies for an absolutely clean & professional mix. Обзор понравился! Плангин попробую. Проблемы с нижней серединой всегда присутствуют в миксе.